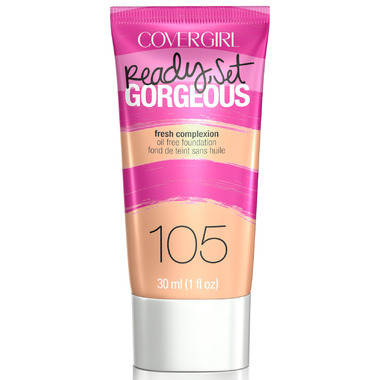 CoverGirl Ready, Set Gorgeous foundation provides a flawless, natural look that lasts all day in one simple step! Application Tips: Dot foundation on forehead, cheeks and chin. Blend using fingertips or a makeup sponge. Use with any COVERGIRL Pressed Powder to help your look last. I love this foundation. It leaves my skin looking flawless all day. I teach for it over my more high end foundations all the time.